Searching for women talking about, making and playing tunes this summer? Look no further! On Saturday 16 July, Scotland will host its very first female-positive music festival, Pandora Fest, which aims to celebrate women artists of all genres and give them a larger platform in the festival scene. Pandora Fest takes place at Duncarron Medieval Village near Stirling. To find out more, check out their website, Twitter or Facebook pages. In London, gal-dem zine presents Bridging the Gap: Women in Music, which takes place at Rich Mix in Shoreditch on Friday 29 July. This is a free event incorporating a panel discussion, performance and networking which aims to celebrate the leading women in the music industry right now. Find out more here. I’m gutted to be missing this. 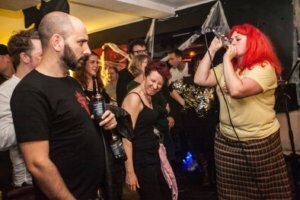 Loud Women is a punk, pop and riot grrrl event, taking place on multiple dates at multiple venues. A festival featuring 25 acts is planned for September and the line-up so far includes Vodun, Desperate Journalist, Dream Nails, Louise Distras and Grace Petrie. Find out more at their website, Facebook, Twitter and Instagram pages. Blue Monday is a monthly acoustic night for LBQT women, taking place on the second Monday of the month at The Boogaloo in Archway, north London. The event is inclusive and those not identifying as LBQT are welcome. Find out more at their Facebook, Twitter and YouTube pages. 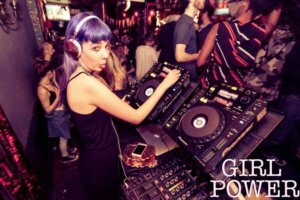 Girl Power London is a party night featuring R&B, hip-hop and pop music from the 1990s to the present day. It takes place on the last Saturday of every month at The Macbeth in Hoxton, east London. Find out more on their Facebook and Twitter pages. FemFriday takes place on the first Friday of every month at Artista Studio in Brighton. An eclectic night featuring folk, rap, punk, blues, jazz and rock. Find out more at their Facebook page. Girls of summer. Their love for you will still be strong. 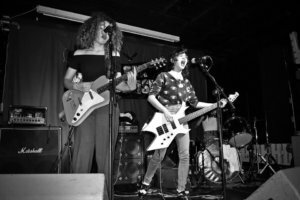 Image one is a black and white shot of two women playing guitar, from the band Skinny Girl Diet. Picture by Akbar Ali. Image two shows Tegan Christmas (what a name! ), of the band The Ethical Debating Society, a woman with fabulous red hair singing into a mic, in front of an audience at Loud Women. © Keira Anee, 2015. 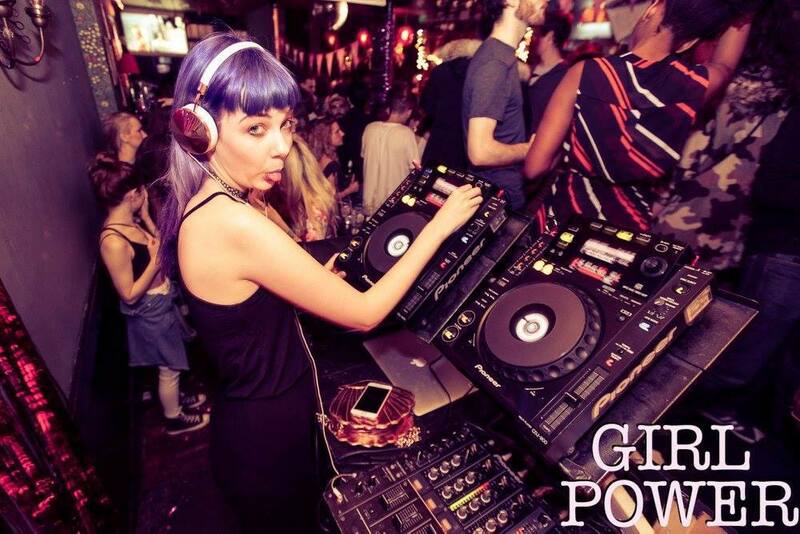 Image three shows a woman with fabulous purple hair on the decks at the Girl Power London club night. She is sticking her tongue out whilst a crowd shimmies before her. Woman and photographer unknown. Please get in touch for credit where it’s due!